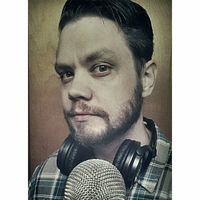 Bob McCoy is a 16 year veteran of voice and audio production from the Cincinnati Ohio area. Versatile and wide ranging Male voice, Mid 20s to Early 40s. Ability to do characters, Animation, Video games and more. Previous clients have included Royal Caribbean Cruise lines, Lexus, Pfizer, OSHA, JS Denmark, Provista solutions, Snowmint creative, Fretsi.com, gotophone and more. Available most days at all times. I price much lower than the industry standard because I am more concerned with client satisfaction and success than I am with money. Bob is a master at what he does. Super quick turnaround with an excellent outcome. Will definitely hire again. Thanks Bob, keep up the great work! Thank you again, Bob! What you’ve done for this project was way beyond my imagination. It was like I asked 10 and you gave me 25, or maybe more! I highly recommend him to anyone who’s looking for a voice talent who has great sense not just about voice recording but making video materials. Hard worker and great at communication. You can’t never fail a project if you work with him. Bob has an excellent, versatile voice. He gave me plenty of voice’s to choose from and cut a great track. He is my go to voice guy. we had a huge bump on the road and the project could have been in total jeopardy. But that’ll never happen as long as you work with Bob. He showed enormous patience, consideration, concern and deep compassion. I strongly recommend anyone to work with him. We know we will! Bob did excellent job and delivered in less than 24 hours as agreed. Have worked with him before and have been extremely satisfied. I highly recommend him! it is not the first time I am working with Bob, he is very professional, accurate, i could extremely trust him with my work and would definitely recommend him! again he did a wonderful job and i am very pleased. Bob is a very talented VO that is also very professional. His dedication, communication skills and promptness in getting back to us whenever there is a need has been impeccable. We will absolutely re-hire Bob. Bob is really professional and a real expert in his field. Will be hiring him again for sure! Bob delivered in time a great product in a great price. He is the kind of freelancers everyone is looking for. I will definetely co-operate with him in the future and I strongly recommend him to anyone who’s looking for a voice-over. Bob came through for us on a project that needed to be done in record time. He stepped up to the plate gave us 200% effort and quality of work. Thanks for everything, we will work together again!